Lakers owner Jerry Buss has died at the age of 80, according to Ken Berger of CBSSports.com, who confirms a report from the LA Times. Various Los Angeles media reported late last week that the longtime Lakers icon had been hospitalized with a form of cancer. The 2010 Naismith Basketball Hall of Fame inductee purchased the Lakers from Jack Kent Cooke in 1979 and saw the team through its most successful era, including 10 NBA championships. His daughter Jeanie Buss has taken over running the business side of the team in recent seasons, while his son Jim has managed the basketball side. A Depression-era baby, Jerry Hatten Buss was born in Salt Lake City on Jan. 27, 1933, although some sources cite 1934 as his birth year. 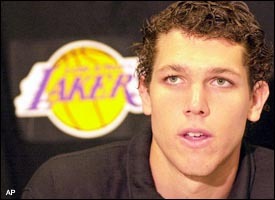 His parents, Lydus and Jessie Buss, divorced when he was an infant. Born Gerald Hatten Buss, he made his money in real estate after graduating from the University of Wyoming in 1955. He purchased the Lakers, along with the Forum stadium in Inglewood, the NHL Kings, and a 13,000-acre ranch for $67.5 million in 1979, a massive sum at the time. The Lakers were valued in the deal at just $16 million, according to Yahoo Sports. At the time of his death, the franchise had recently been valued by Forbes at more than $1 billion. Buss enjoyed a close relationship with his star players during his time as owner. He and Magic Johnson formed a particularly close relationship, spending time together away from the court, according to various books written about the era. He's meant everything to me in my career in terms of taking a risk on a 17-year-old kid coming out of high school and then believing in me my entire career. And then for the game itself, the brand of basketball that he implemented in Showtime carried the league," Bryant said at a news conference during the NBA's All-Star weekend. With the team now facing a void at the top, there will be questions surrounding the future of the team. Many were surprised when Jeanie Buss was not selected as the person to take over operations, and the formation of a new organizational structure comes at a tumultous time for the team on the court. 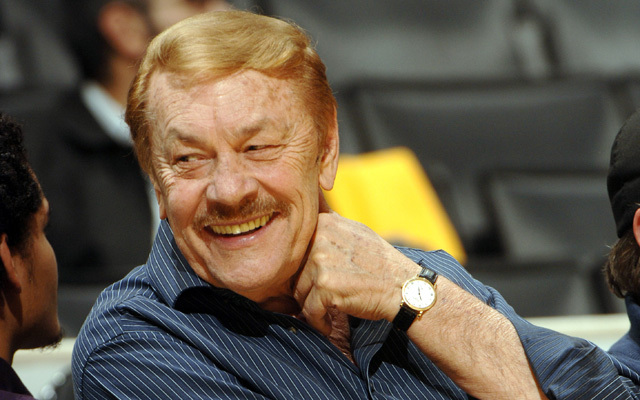 El SEGUNDO – Dr. Jerry Buss, longtime owner of the Los Angeles Lakers, passed away today at 5:55 am after a long illness. He was 80 years old. “We not only have lost our cherished father, but a beloved man of our community and a person respected by the world basketball community,” a statement released on behalf of the Buss family said. 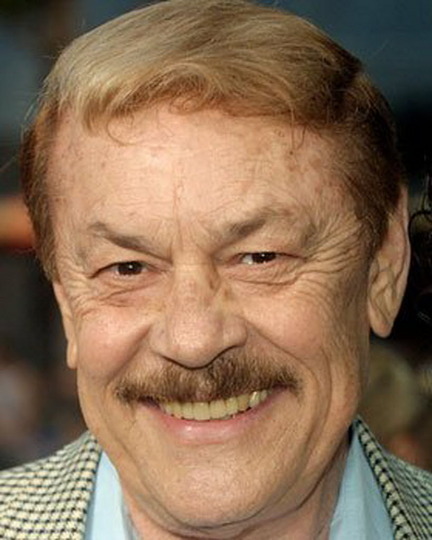 Dr. Buss had been hospitalized much of the past 18 months in a battle which “showed his amazing strength and will to live. It was our father's often stated desire and expectation that the Lakers remain in the Buss family. The Lakers have been our lives as well and we will honor his wish and do everything in our power to continue his unparalleled legacy,” the statement concluded. He is survived by sons Johnny, Jim, Joey and Jesse and daughters Jeanie Buss and Janie Drexel, all of Southern California; eight grandchildren; former wife JoAnn of Las Vegas; half sister Susan Hall of Phoenix; half brother Micky Brown of Scottsdale; and stepbrother Jim Brown of Star Valley, Wyoming. Funeral and memorial service arrangements are pending. In lieu of flowers, the family requests that donations be made to the Lakers Youth Foundation or a charity of the donor's choice. 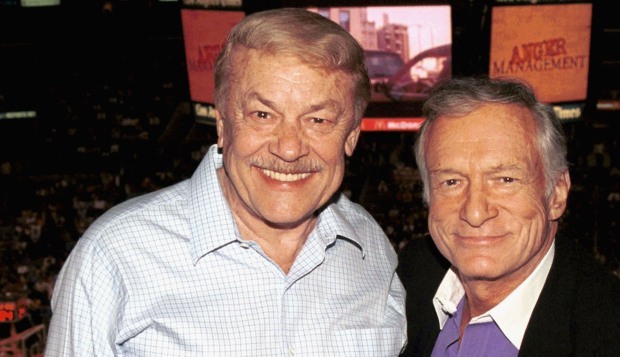 "Jerry Buss was a visionary, a winner and a dear friend. Our city will miss him, our league will miss him and the Sterling family will truly miss him." "Today, in the world of sports, we have lost a true giant. Jerry Buss was more than just an owner. He was one of the great innovators that any sport has ever encountered. He was a true visionary and it was obvious with the Lakers in the 80's that 'Showtime' was more than just Magic Johnson and Kareem Abdul-Jabbar. It was really the vision of a man who saw something that connected with a community. I was privileged to be part of that for 10 years and even more grateful for the friendship that has lasted all these many years. I have always come to realize that if it weren't for Dr. Buss, I wouldn't be where I am today. I owe my start in professional coaching to him, and I will always hold him and his memory in the highest of regards. Chris and I truly love Jerry Buss. He was a great friend and will be missed." SCROLL Down to View More! Lakers Owner Jerry Buss Passes Away at 80! 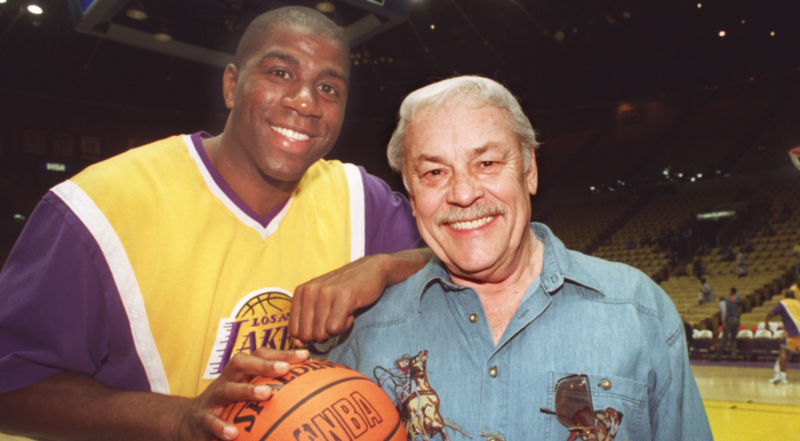 “We not only have lost our cherished father, but a beloved man of our community and a person respected by the world basketball community,” the Buss family said in a statement issued by the Lakers. “It was our father’s often-stated desire and expectation that the Lakers remain in the Buss family. The Lakers have been our lives as well, and we will honor his wish and do everything in our power to continue his unparalleled legacy.” The Buss family owns about 65% of the Lakers. “The future of the organization will remain unchanged,” Lakers spokesman John Black said Monday during a news conference. “Dr. Buss set it up years in advance — he planned for the team to remain with the family. “RIP Jerry Buss. Your encouragement and support along with your stories of staying true to yourself had an enormous impact on me,” tweeted Dallas Mavericks owner Mark Cuban. LA Lakers’ owner from 1979 to present day, Hollywood Dr. Jerry Buss passed away on Monday from cancer related kidney failure on Monday. He championed the LA Lakers to 10 chips spanning from the Showtime era in the 1980′s to the modern-day Kobe era! Buss passed away at the Cedars-Sinai Medical Center in Los Angeles after being hospitalized for 18 months undergoing cancer treatment. He helped bring the Lakers to a global market spilling Hollywood glamour onto the court. He brought up a lot of prominent players in his 34-year tenure including: Magic Johnson, Kareem Abdul-Jabbar, Shaquille O’Neal, and Dwight Howard. Interestingly enuff, Buss earned a Ph.D. in chemistry at age 24 (Dr. Jerry Buss) and had careers in aerospace and real estate development before getting into sports. Our condolescences go out to the family and friends of Jerry Buss, the charasmatic Hollywood owner of the Showtime LA Lakers! R.I.P. Always an innovative businessman, Buss paid for the Lakers through both their wild success and his own groundbreaking moves to raise revenue. He co-founded a basic-cable sports television network and sold the naming rights to the Forum at times when both now-standard strategies were unusual, further justifying his induction to the Pro Basketball Hall of Fame in 2010 – espn. LOS ANGELES—In an unexpected turn of events, sources confirmed Saturday that billionaire Jerry Buss, the widely beloved owner of the Los Angeles Lakers who passed away at the age of 80 last week, has left his entire fortune to the team’s former small forward Luke Walton. “My dear Luke: I leave you everything I have, as you are the sole benefactor of my estate,” read a portion of Buss’ will obtained by reporters, which specified that Walton would inherit over $1.6 billion in money and assets, including ownership of the Lakers, from the late real estate mogul. “You were like a son to me, so I want to ensure that you’re always taken care of and never have to worry about money again. Trading you was one of the hardest things I’ve ever had to do in my life, but I just hope you know how much I always cared about you.” At press time, an emotional Walton was reportedly able to finally quit his low-paying and demeaning job as a bench player on the Cleveland Cavaliers. UPDATE: Walton has fired the entire Lakers front office, replaced head coach Mike D’Antoni with Phil Jackson, and cut Dwight Howard. Miss Hawaiian Tropic International 2005 in Hawaii.— with Ron Rice and Amy Raley. Gerald Hatten Buss (January 27, 1933 – February 18, 2013) was an American businessman, investor, chemist, and philanthropist. He was the majority owner of the Los Angeles Lakers professional basketball team in the National Basketball Association(NBA), winning 10 league championships that were highlighted by the team's Showtime era during the 1980s. He is a member of the Naismith Memorial Basketball Hall of Fameas a contributor. Buss owned other professional sports franchises in Southern California.